If you’re looking for something quick, easy, & healthy for a busy weeknight dinner this is the perfect dish! Shred the cabbage and carrots seperately. I just used the attachment on our food processor. In a large skillet or wok brown the meat in a little sesame oil or olive oil. 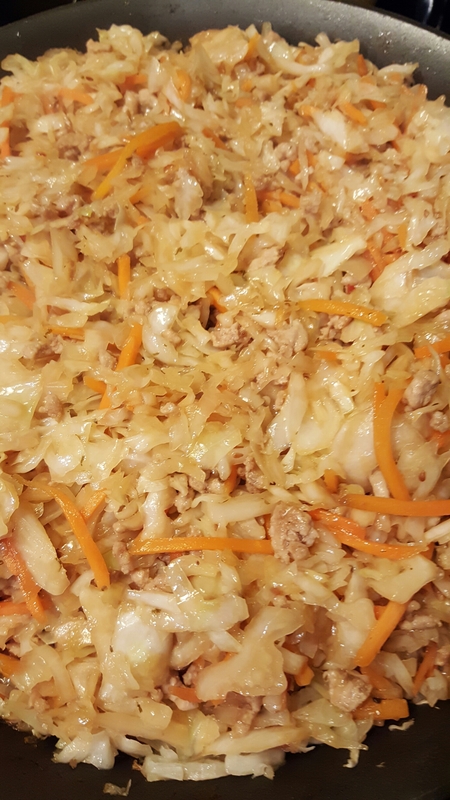 Once browned add the shredded cabbage and a little more oil. Cook for about five or ten minutes. Add the carrots and cook for another five or so minutes. 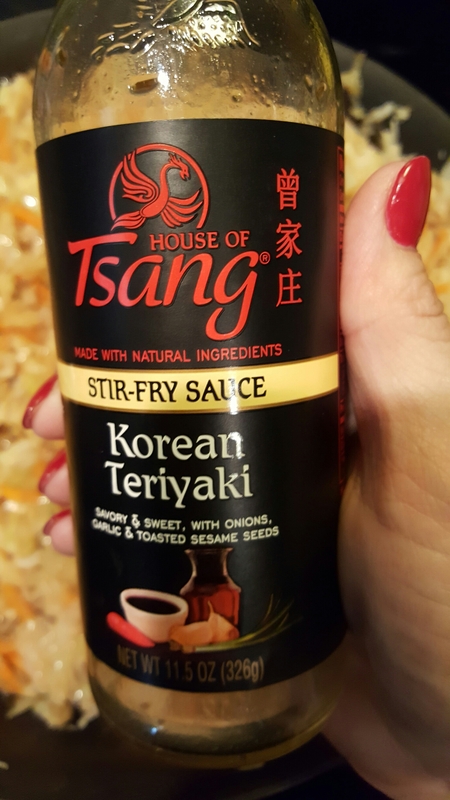 Then add the Korean teriyaki stir fry sauce and soy sauce to taste. It’s really that quick and simple. Our little monsters love rice so we made a little for them to eat with it. You could also add different veggies. 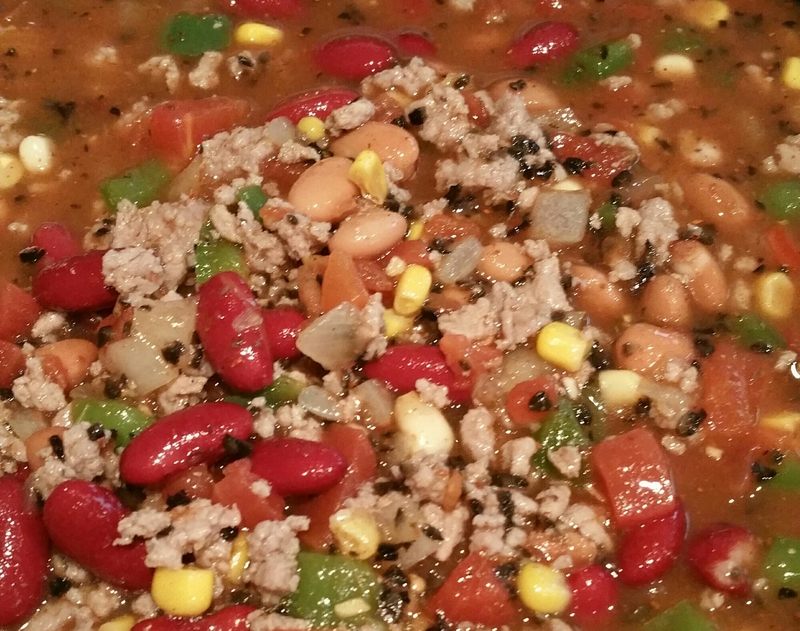 Brown meat and combine with remaining ingredients in crock pot on low for 4-6 hours. Garnish with your favorite ingredients. This is my friend’s mom’s chili recipe. She said she won two chili cook offs with it. So I had to try it. It’s a new family fave. Posted in a day in this mama's life, free therapy, healthy living, inspiration, PMA	Enter your password to view comments. With crazy busy days full of chasing a toddler all day, pre-k, getting a 3rd grader to and from school, home schooling a teenager, tap & ballet classes, cheerleading practice, football games, choir practice, playing taxi for my teen, a house full of neighborhood kids, God children, or nieces, cleaning, laundry galore, errands, appointments, really who has time to think about a healthy meal every night? I’m tired just thinking about the daily chaos we live. It’s so easy to hit a drive through or order pizza on those days…which becomes every day! And well, that’s not happening! I recently had to have two surgeries back to back that pretty much landed me in bed for almost a month and threw my work load on my husband and my mom. So In between the two surgeries after the first being completely unexpected I decided to make a bunch of freezer meals that all they had to do was pull them out and toss them in the crock pot or oven. My mom later asked “why don’t we do this all the time? That was so helpful!” Don’t tell my mom I agree with her:) So yesterday I made a trip to costco and our local grocery store to make groceries. Then last night me, my husband, and my mom threw them together in no time flat. My mom sliced veggies, hubster cooked the ground turkey, and sautéed for me, while I filled & labeled ziplocks. In less than two hours we had two weeks worth of dinner prepped. Now our freezer is full of meals that will be a piece of cake to make after our crazy busy days! Freeing up my evenings for bonding time with my lil monsters! I’ve had many friends ask me about it and to share some recipes. Took me long enough, but here they are! I’ll also be prepping our smoothies today that will just need to be tossed in the blender with a little almond milk and viola a healthy smoothie without having to deal with the mess every day. I’ll share those too! Please keep in mind you can easily change these recipes up and make them as quick as you’d like with canned goods or as unprocessed as you’d like. Which is the direction I am slowly going in. But don’t worry there are can goods & jars in these recipes! In the recipes with chicken I must admit I have a huge phobia of touching raw meat. Something about it really grosses me out. So I buy a huge 10 lb bag of boneless skinless frozen chicken breast from costco. Easier for me to deal with;) I brown all of the ground turkey in huge batches and split them up between the recipes. I also like to buy chopped onions and bell pepper in the freezer department so I don’t have to cry while cutting the onions, not to mention it saves on this busy mama’s prepping time. In the long run it’s a price saver to buy in bulk and prepping it in advance, bonus! Seasoning of your choice, my fave go too’s are: garlic powder, “no salt”, emeril’s essence, and creole seasoning. After I write the date, name of meal, and cooking directions I add all ingredients, except the pasta or rice, into a gallon freezer zip lock bag. Then you can either thaw out the meal in the fridge the night before or even toss it in the crock pot frozen if you forget the night before. Cook on high 3-4 hours or low 6-7 hours. Cook pasta or rice and serve it over it. Label two gallon zip locks, put tortellini in one. Then remaining ingredients in the other. I find it easier to deal with if you save liquids and diced tomatoes to add last. It will be a very full bag. You can split it between two bags if you’d like. It’s all going to go in the same crock pot after all. Toss in the crock pot for 5-6 hours on low or high for 3 hours. You can add to tortellini to the crock pot for the last 45 minutes to an hour. Or cook according to directions. Same bit! 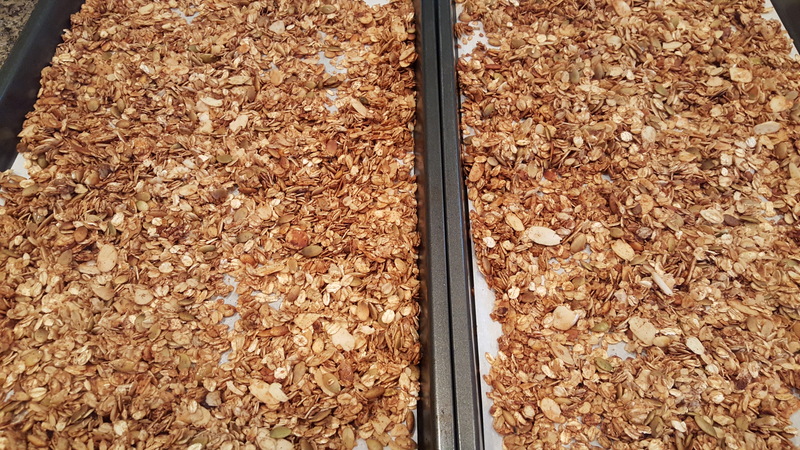 Label bags and toss all ingredients in one and rolls in the other. 6-7 hours on low or 3-4 hours on high. Toss all ingredients (except pasta and spinach) in a labeled ziplock bag. Again I suggest you save the spaghetti sauce and diced tomatoes for last. Can also split this one between two bags. Crock pot for 6-7 hours on low or 3-4 on high. Cook pasta and serve. It’s also good to serve it over fresh spinach, or both pasta and fresh spinach. Also, we love ours with boiled and peeled eggs. Toss them in the crock pot with the sauce and it will soak up the flavor. 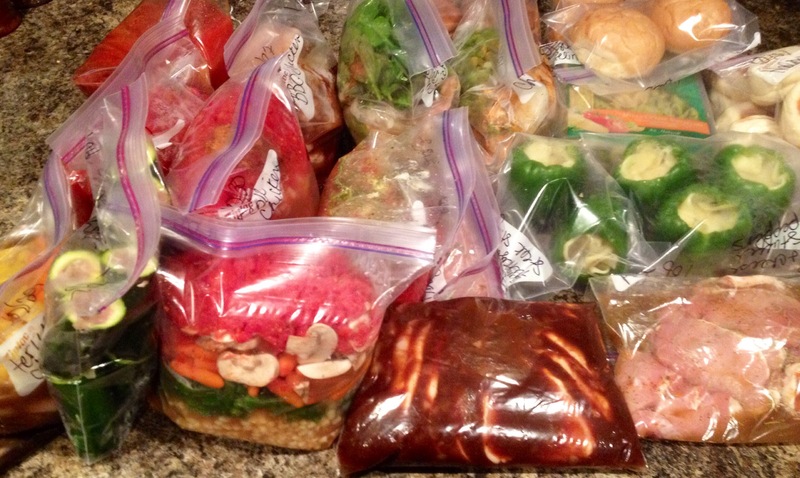 Toss all ingredients (except rice) in labelled ziplock. Crockpot low 6-7 hours or high 3-4 hours. Cook rice and serve over it. Seasoning: garlic powder, “no salt”, creole seasoning (as much as you’d like), and any other seasoning you’d like. Same spill, toss everything except rice in labeled gallon freezer ziplock. Save liquids for last. Crock pot on low 6-7 hours or high 3-4 hours. Cook rice and serve over it. And of course “Laissez le bon temps rouler”! Fill that labeled gallon ziplock with all of the above (except rice & veggie of choice). Crockpot 6-7 hours on low or 3-4 hours on high. Serve over rice with a veggie on the side. Slice top off of bell peppers and clean out the inside. Sauté turkey, mushrooms, onions, and seasoning of choice in the olive oil. Place one piece of provolone in the bottom of each bell pepper, stuff with the sautéed turkey & veggies, the top each with another slice of cheese. I used two ziplock bags to lay them in flat. Before placing them in the crock pot add a little olive oil on the bottom. Then place them all in the crock pot up right. Cook on low for 5-6 hours or high for 3-4 hours. You could of course do this with sliced roast beef. But we eat flexitarian so I don’t cook red meat. Oh! And how could I forget! If you haven’t discovered the reynold’s brand crock pot liners (near ziplocks & foil and such) yet, you’ve got to try them! No scrubbing that crock pot for hours! Just pull the liner out and toss it! I like to line my crockpot at the end of the night for the next use so I don’t slip up and forget to use one! I’ll work on posting more freezer recipes as I prep our meals every other week. Posted in familia, healthy living, hubster, inspiration, PMA	Enter your password to view comments. 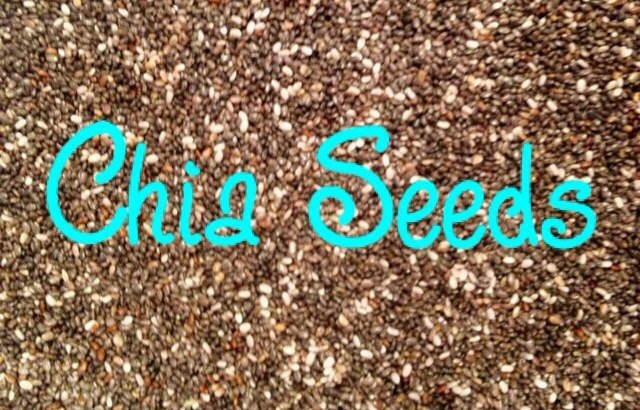 Let’s talk chia seeds! I’m sure I am not the only one that instantly flashes back to my childhood when I hear the word “chia”. 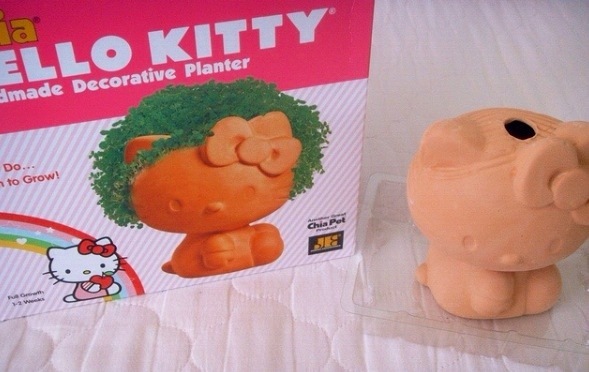 Don’t worry, I promise you won’t grow a tree out of your head if you use them! Though I guess it would be nice if it made our hair grow that fast. Chia seed is a fave of our’s around this house. Do you know the benefits they hold? All of that packed into these itty bitty seeds that you can use on nearly anything? Check out whatscookingamerica.net for a further look into the details of the benefits listed above. 1. Sprinkled over our breakfast, lunch, or dinner. You don’t even notice a distinct flavor really. 2. Blend them into your smoothies, oatmeal, or whatever you are having for breakfast. 3. Add some to your already beneficial water and watch these little babies expand! It’s also tasty if you add some crystal light. It has an interesting texture. Think bubble tea…only very healthy! 4. Chia pudding! A healthy dessert? There are so many recipes on Pinterest. The ideas and ways to use chia seed seems almost endless. It is recommended that you try to work about 4 tbsp in your daily diet. But word to the wise start gradually. Maybe 1 tsp at a time. They will make you so thirsty if you jump in too fast. Drink a glass of chia water before you eat a meal. It will help you eat a little less. Have any good ideas or recipes you use? Please feel free to share!